How much can I receive in pre settlement loans? Is LawStreet Capital the right legal funding company for me? Can I Get Money Before My Settlement? Can You Get Two Pre-Settlement Loans? The loss of a limb is something incomprehensible to people who have not experienced it. In the coming days and months, you’ll receive plenty of advice from doctors, therapists, and loved ones. But some of the most valuable guidance comes from other amputees who truly do know what you’re going through and what might help you deal with it. Go to a support group or recovery organization for amputees, and spend more time listening than you do talking. You may hear how some amputees filed lawsuits against the party at fault for their injuries. A successful lawsuit may give you the compensation you need—and deserve—for your lost limb, but it can take a long time before you’ll see a dime. And in the meantime, you’ll undoubtedly have very substantial medical bills and physical therapy expenses to sort through. Plus, you’ll be unable to work, at least for the time being. It can be tough to wait on a settlement or court award when you need the money now, but there is a solution: legal funding. Lawsuit loans sounds like a bank loan, but it’s completely different. It’s a cash advance made with the promise of a future jury award or settlement as the collateral. After you recover compensation for your injuries, you’ll repay the cash advance at a modest rate of interest. This begs the question: What happens if your lawsuit is unsuccessful and you don’t recover compensation? Actually, nothing happens. You won’t have to repay the legal loan. You’ll owe absolutely nothing to the legal funding company—no strings attached. Why are legal loans beneficial for loss of limb cases? Regardless of how you lost your limb, whether it was during an accident or afterward from medical complications, your medical bills are bound to be sky-high. In addition to the costs of surgery and hospitalization, you will require pharmaceuticals, durable medical equipment, intensive physical therapy, and perhaps psychological counseling and a home health aide. Plus, the prosthetic limb itself can cost tens of thousands of dollars, and it won’t last for a lifetime. At some point, you’ll need to replace it. Amputation-related expenses are even more difficult to cope with, considering that you’ll be unable to work for the foreseeable future. Many amputees do eventually find jobs that can accommodate the permanent disability, but for the time being, you’ll need to focus on your recovery. With a pre settlement loan, you’ll feel like a huge weight has been lifted off your shoulders. You’ll be able to pay your medical bills—no more collection agency calls—and take care of day-to-day living expenses during your recovery. And you won’t feel pressured to settle your lawsuit for less than what you deserve, just because you need cash right away. At LawStreet Capital, we’ve made it our life’s work to help individuals who have suffered injuries as the result of another person’s negligence. If you decide to give legal funding a try, you could be approved within 24 hours, and have money in hand overnight. Use the money for whatever you need during your recovery. And remember: Since legal funding is a cash advance, not a typical bank loan, there’s never any risk. If you lose your case, you won’t owe us a cent. There’s nothing to lose by applying for approval. 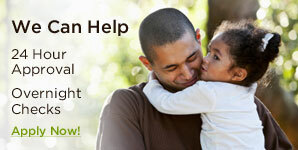 Just fill out the simple form online or give us a call toll-free at 1-866-FUND-662. Although many people refer to lawsuit funding as a 'Loan,' LawStreet Capital does not provide loans, but rather, risk-free cash advances, known as non-recourse loans. If for any reason your cases does not settle, there is no obligation for repayment.